Dog Bites. Insurers’ Worst Nightmare. Dog bites are the most common homeowner’s liability claims. Surprising right? Roughly 4.5 million people are bitten by dogs annually. Usually an unfortunate situation or ill-timed sequence of events could have your canine causing injury to a child in your backyard or a friend visiting your home. That means you’ll need to foot the bill for any dog-related injuries. You typically don’t need to pay out of pocket for medical bills, lost wages, pain and suffering, property fees, and legal fees. That’s where liability insurance comes in. Liability coverage from a homeowners insurance policy (rather than a pet insurance policy) can help cover expenses in case your dog bites someone, knocks over a house guest, or scares a passerby. This is why you’ll want to take into account coverage for dog-related injuries when you’re looking at homeowners insurance options. How common are dog bite claims? There were over 18,000 dog bite claims. The average payout for such claims was over $37,000. Homeowners insurers paid a grand total of $686 million. Dog-related injuries are typically covered under the personal liability portion of a homeowners insurance policy. Liability limits are shown with two numbers like $100,000 / $300,000. The first number is the maximum that the policy will pay per person. The second number is the maximum it will pay for any one incident. Keep in mind, you will be on the line for the damages if a claim exceeds your coverage limits. For example, a person with $30,000 in savings could be in serious financial trouble if their dog bites someone. It could lead to $30,000 in medical costs and a legal award for pain and suffering. All of their savings could be wiped because they didn’t get a policy with sufficient coverage to protect their finances. Dog-related injuries covered by homeowners insurance may not be as comprehensive as you think. Insurers will cover most dog breeds. However, some will deny you outright coverage for certain breeds deemed as dangerous or have been historically categorized as problematic. It doesn’t seem fair when your Pit Bull Doris is super sweet to children. While we agree with you, certain breeds such as Rottweilers, German Shepherds, and Akitas are considered high risk to many insurers. Check out this list of dog breeds that insurers are blacklisting here. 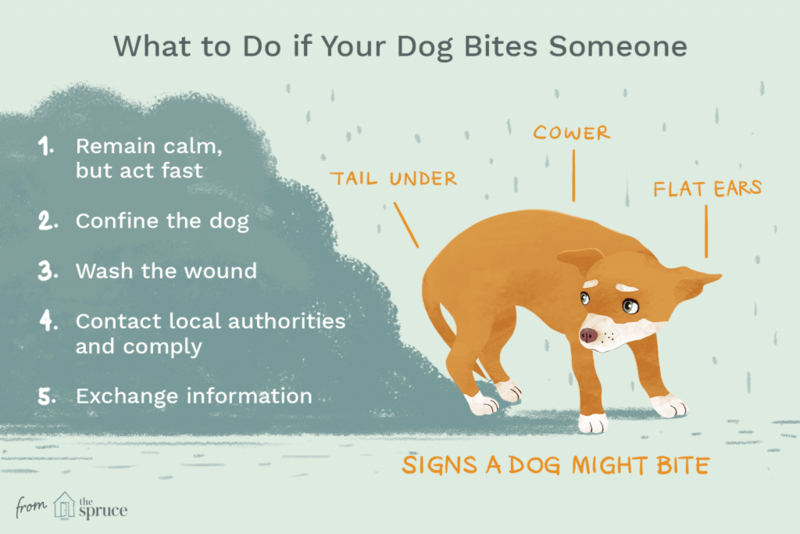 Dog bite statute: You’re automatically liable for any injury or property damage the dog causes. One-bite rule: In some states, you, the owner, is not responsible for the first dog bite. Negligence laws: You’re liable if you were careless in controlling your dog. You’re not held liable when someone suffers a dog injury while trespassing on your property in most states. You may be covered if the incident happens off your property depending on your policy. Let’s say, in or on a vehicle, at a park or on the sidewalk. Your premium may spike after you file a dog-related injury. Plus, once your dog has bitten someone in the past, the insurer may up your insurance premium, exclude the dog in your coverage, or not offer a renewal. However, the insurer may cover a pet if you agree to take your dog to behavior modification classes, or if you agree to restrain the dog in some fashion. How do dog bite liability claims work? • Document everything. Take photos of the injury, the scene, of the dog, and anything else that helps verify exactly what happened. This will help you file a claim smoothly. • Have the injured person seek medical attention immediately. Even if the person just suffered minor scrapes and bruises they’ll want to go to the doctor just in case. This is important in case they suffer ailments related to the incident down the line. Plus, it’s a solid source of documentation. This will come in handy when you file a claim. Here is a helpful image. Keep your dog leashed while out in public. Practice caution if your dog is in a new situation. Teach kids how to properly behave and treat dogs. Train and socialize your dog well and as early as possible. Spay or neuter your pup. It turns out that if your dog is spayed or neutered, they’ll be less likely to bite. Know what triggers aggression or fear in your dog. Click here to receive a free quote or call (805) 480-2616 to speak to one of our trusted advisers. We are all dog people so we can definitely help determine if you are properly covered.